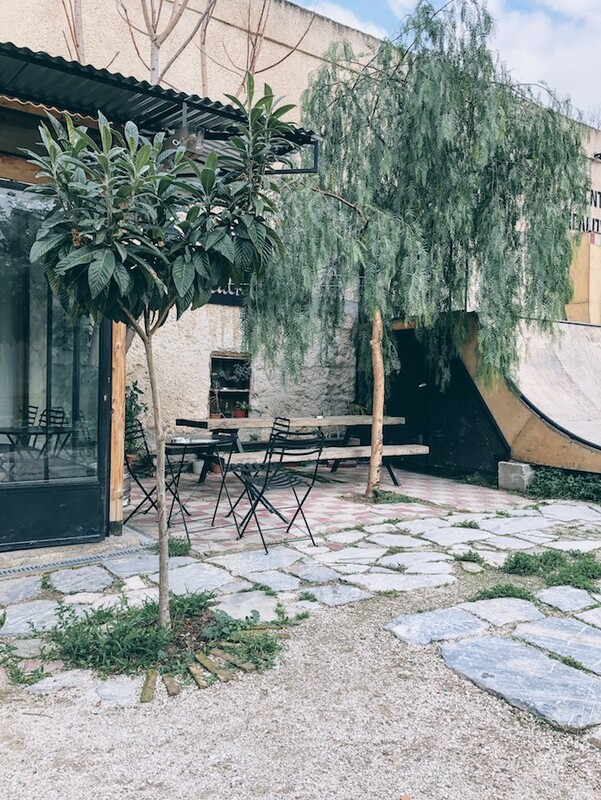 Designed by the Greek architect Zachos Varfis, LATRAAC is the first skate bowl in Athens. His passion for transition skateboarding lead him to the development of this social space. An urban garden with curved surfaces, that has hosted various events. Many foreign musicians and performers have used the bowl as a stage. LATRAAC opened its doors in 2017 in Metaxourgeio and I have to admit, it’s not your regular brunch place. At LATRAAC you can hang out, skate and taste some really good food. The menu is pretty small, offering sandwiches and all day breakfast/brunch plates. You should try the Herb and Mushroom panini with sundried tomatoes, spinach and kasseri cheese. 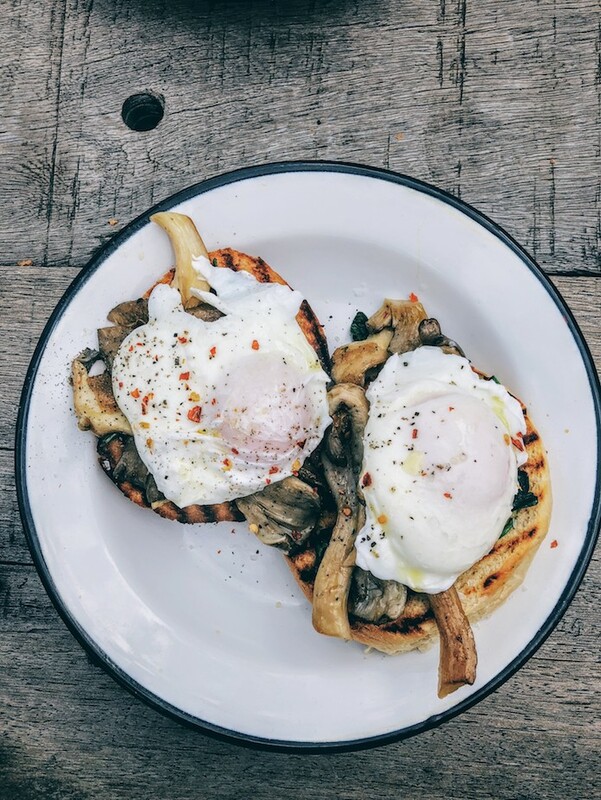 I also recommend trying the poached eggs with sautéed spinach and mushrooms on toast. Definitely don’t leave without trying their most popular plate, a sandwich with avocado, haloumi and beets with beetroot. The service is friendly and polite, but be patient and expect a small delay in your order since there is only one person cooking. Chilled vibes and young crowd in a vibrant atmosphere, ideal for all those artistic souls! When the sun goes down, LATRAAC turns into a bar, so feel free to enjoy a refreshing drink.